I've been playing around with ways of holding the 'stuff' whilst in the bottle. These are a set of grippers that will grip both fore and aft, and sideways. 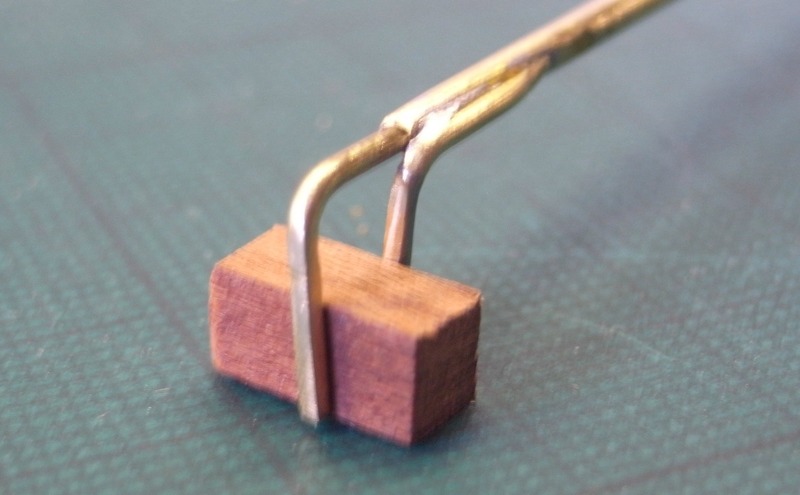 Made from a piece of brass tube, brass rod, a spring, and dowel. 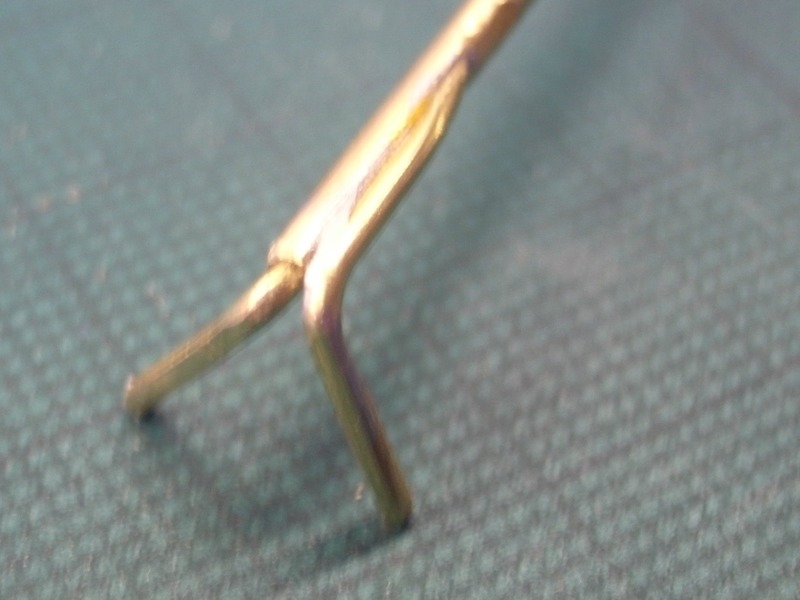 A 'L' shaped piece is soldered to the end of the tube as shown after filling flats on both surfaces. 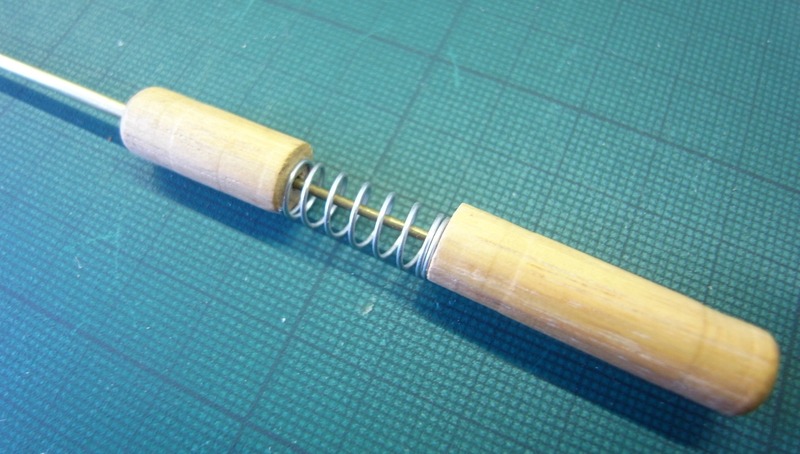 The rod is bent to shape, inserted into the tube. 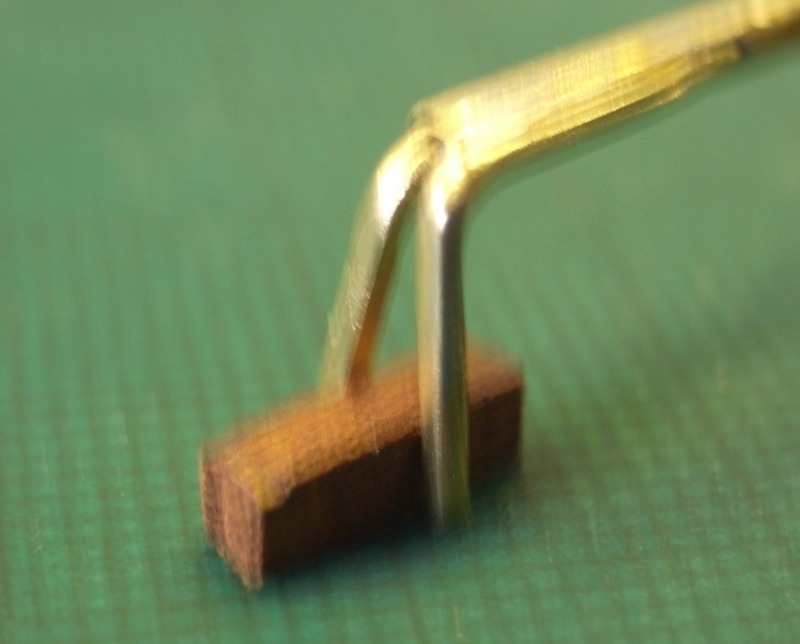 A hole is drilled through a piece of dowel for the tube and a bling hole for the rod. A spot of CA glue holds it together. I used electrical solder for the joint. Sideways grip is obtained by rotating the dowels in relation to each other, although I still have to experiment with the shape of the pincers to get the best grip of the part, the rod is pushed forward and rotated a bit, then spring pressure will act as a gripper for fore and aft. Its small enough to be worked with one hand. This is cool. I need to make me one. I love the design. Well done!